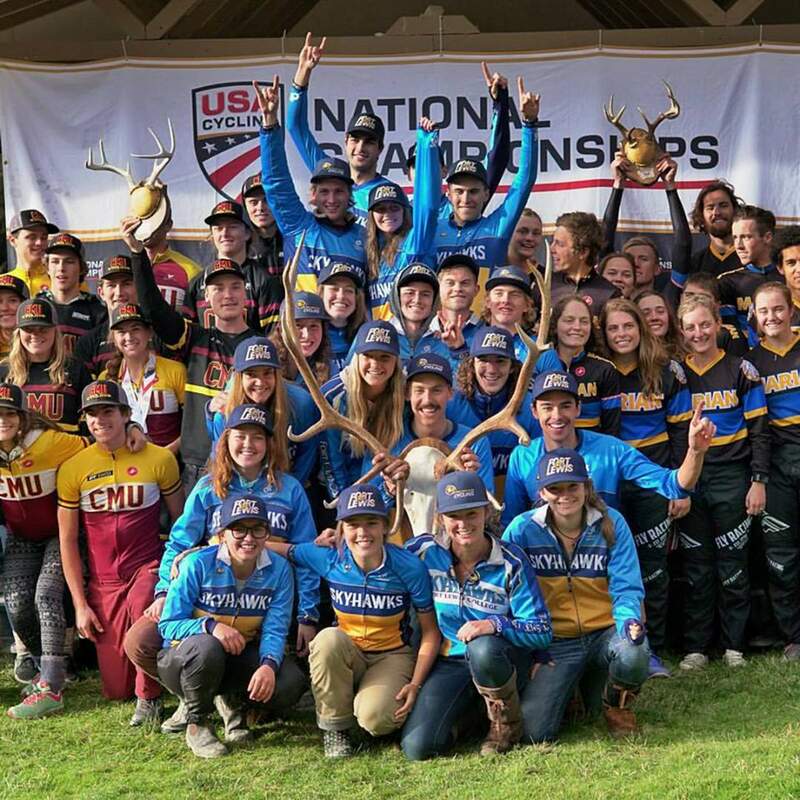 With a win at the USA Cycling Collegiate Mountain Bike National Championships in Missoula, Montana, the Fort Lewis College cycling program now has won 23 national titles. 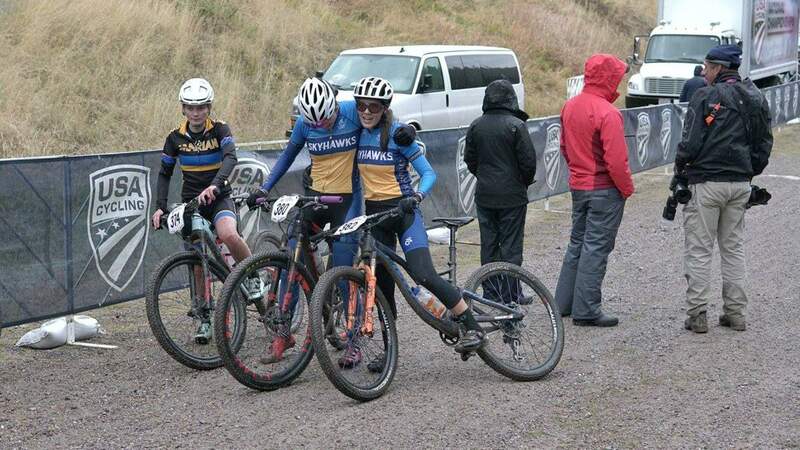 Fort Lewis College cyclists Katja Freeburn, middle, and Ellen Campbell, right, led the women’s endurance team at collegiate nationals. The two Durangoans helped the Skyhawks secure a 23rd national title. Durango’s Ellen Campbell had a strong showing at collegiate mountain bike nationals. Cole Paton of Fort Lewis College had a strong showing at the collegiate national championships. He was second in Sunday’s short-track cross-country race and third in Friday’s cross-country to help the team to a national championship. 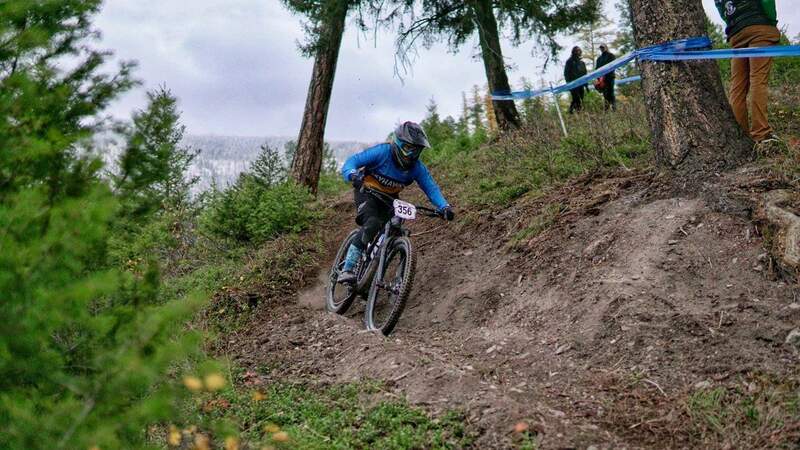 Fort Lewis College cyclist McCauley Smith claimed third in dual slalom and a gold in downhill at collegiate nationals to lead the Skyhawks’ charge to a 23rd national championship. Dominant performances across all disciplines led the Fort Lewis College cycling team to its 23rd national championship. The Skyhawks rolled at the 2017 USA Cycling Collegiate Mountain Bike National Championships in Missoula, Montana. FLC won Sunday’s team relay and received first-place points in men’s and women’s cross-country racing, men’s short-track and women’s downhill to score 763 points and run away with the Division 1 varsity national championship. Colorado Mesa of Grand Junction was second with 681 points, and Marian University of Indiana was third with 599 points. Durango’s Stephan Davoust finished second in the individual omnium standings for FLC. Last year, he won the omnium championship, but the team finished second behind North Carolina’s Brevard College. 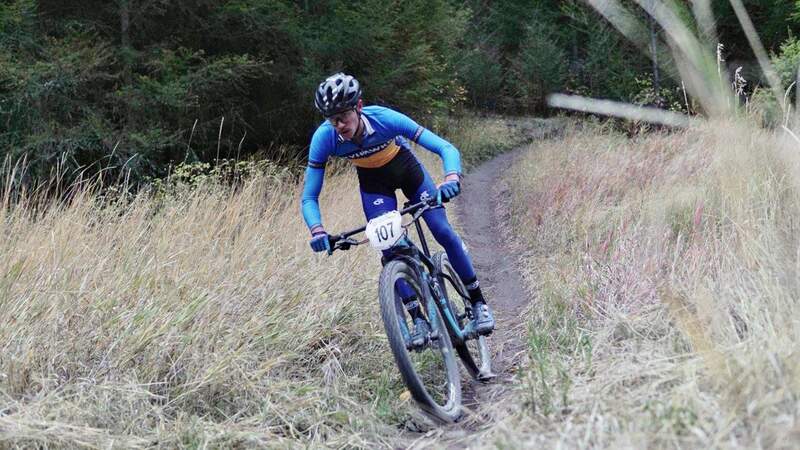 Fort Lewis College mountain biker Stephan Davoust of Durango claimed a gold medal in Sunday’s short-track race at the collegiate mountain bike national championships in Missoula, Montana. He then anchored the team relay to a gold medal to help deliver the team’s 23rd overall national championship. 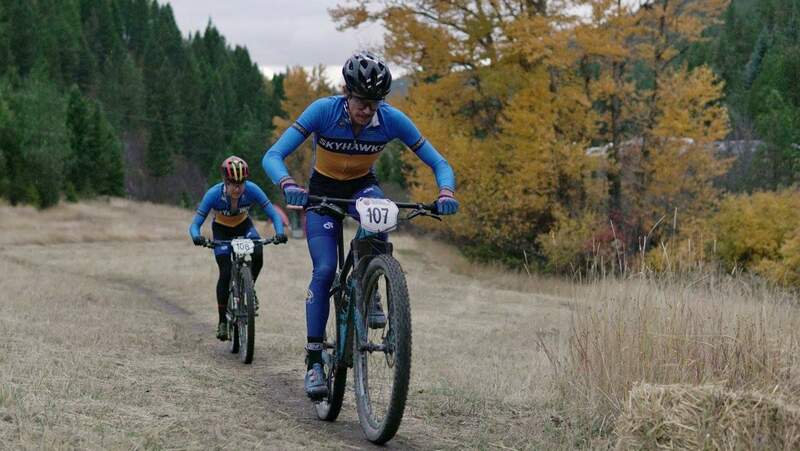 FLC’s mountain bike team also won the Rocky Mountain Collegiate Cycling Conference title this year ahead of University of Colorado at Boulder. That gave the Skyhawks plenty of confidence going into nationals. FLC won the team relay in 19 minutes, 19.04 seconds to edge the 19:34.72 time of Brevard. The team had few nerves going into the final event of the weekend, believing it had the four best riders in Durangoans Ellen Campbell, Stephan Davoust and Katja Freeburn along with Washington’s Cole Paton. Colorado Mesa was fourth in 19:55.85, behind Savannah College of Art and Design. Fifteen teams competed in the relay, and nine contested the Division 1 varsity team omnium. The FLC energy level was boosted to a new level Saturday night after the women’s downhill race, and it carried over into Sunday. McCauley Smith of Boulder won the women’s downhill race in 3:40.86. Angelina Palermo from Marina University was second in 3:43.38. FLC’s Elena Runyan from Washington was third in 3:44.14, and FLC’s Libbey Endersbe of Minnesota was fourth in 3:49.58. Durango’s Lacey Andersen rode to 13th for FLC in 4:01.91. Salida’s Anna Schehrer was 17th in 4:12.34. Cheeney said Smith grew “leaps and bounds” during the weekend’s competitions. 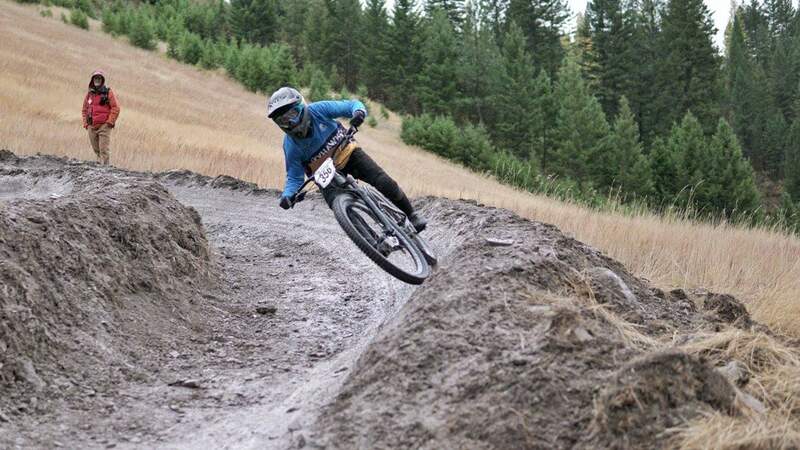 Fort Lewis College cyclist McCauley Smith claimed gold in Saturday’s downhill race at the USA Cycling Collegiate Mountain Bike National Championships in Missoula, Montana. Her ride gave the team all the momentum it needed to secure a 23rd national title. Smith also took bronze in Saturday’s dual slalom finals. Marian’s Angelina Palermo was first, and Veronica Laughton of Lees-McRae College was second. FLC’s Andersen finished 11th, Endersbe was 14th, Elena Runyan of Washington placed 22nd. Smith’s big downhill win was felt by the endurance riders. Davoust claimed gold in men’s short-track in 27:27.10. He was followed by teammate Cole Paton of Washington, who was 8.49 seconds back. Henry Nadell of Carbondale placed seventh for FLC and was 57.61 seconds behind Davoust. FLC’s Jason Rowton of California was 13th and Nash Dory of Arizona was 19th. “All the downhillers were there cheering us on; it was a huge team effort,” Davoust said. “I personally did really well, but I couldn’t have done it without Cole Paton and Henry Nadell in short-track. We were working together, and everyone was so strong. Freeburn, only a freshman, placed fifth in Sunday’s women’s short-track race for FLC. She was 37.77 seconds behind winner Hannah Finchamp of Lindenwood. Campbell placed eighth in a remarkable comeback performance after going down in a first-lap pileup. She rallied from 30th up to eighth. Kelsay Lundberg of Salida was 14th for FLC, and Durango’s Camryn Sippy, an FLC freshman, placed 18th behind Durango’s India Waller, who was 17th for Warren Wilson College. Carley Endersbe of Minnesota was 23rd for FLC, and Schehrer was 25th. FLC’s Benjamin Bennett of California was sixth in the men’s dual slalom followed by teammate Drey Smith of New Mexico in seventh. Durango’s Bryce Hermanussen was 13th for FLC, and teammate Jaren Lockwood of Utah was 14th. Davoust was 18th, and fellow Durangoan and FLC rider Shane Ellis was 20th. Cole Paton (107) of Fort Lewis College had a strong showing at the collegiate national championships. He was second in Sunday’s short-track race and third in Friday’s cross-country to help the team to a national championship. Henry Nadell (108) was second in cross-country and seventh in short-track. 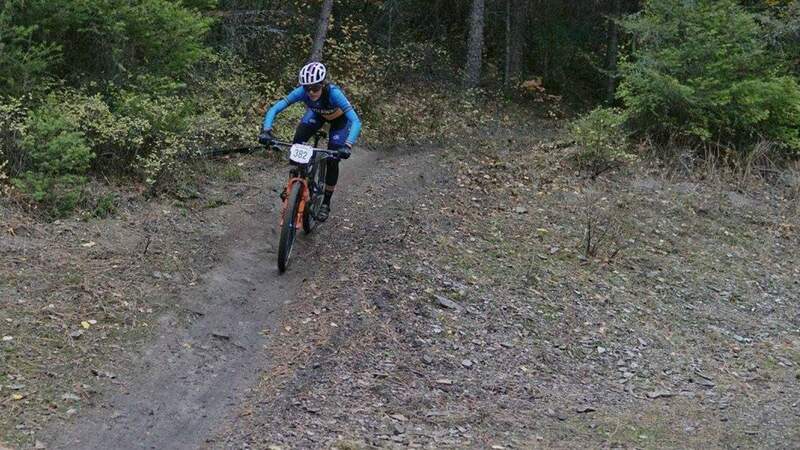 Two Durango women riding for other colleges also competed in dual slalom, as Waller placed 19th for Warren Wilson and Shayla Blackmore was 20th for Colorado Mesa. In Friday’s cross-country races, Nadell led the FLC men in second place, while Paton was third, Davoust placed fifth, Dory was seventh and Rowton was 14th. Freeburn finished fifth in the women’s XC race, while Campbell claimed sixth, Lundberg was ninth, Carley Endersbe was 13th, Sippy was 17th and Schehrer was 18th. After the big team championship, the FLC cyclists gathered at the team house to enjoy a night of hot tubs and celebration before loading up the team trailer to head back to Durango with the national championship plaque – a giant mount of elk antlers.